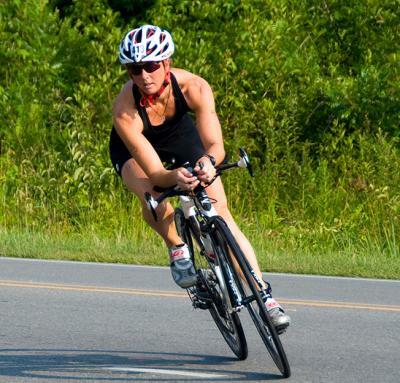 For non-tournament type sporting events, Johnston County has several options for biking off-road, cross-country races, and greenway 5ks. Here are just a sample of outdoor venues, please give us a call at 1-800-441-7829 to assist you in planning a sporting event in the county. This 825-acre managed forest is located between the Piedmont and Coastal Plain, with pine stands and hardwoods set on a pleasant rolling terrain, which is highlighted by streams and rock formations. With 10-miles of trails available for cross-country runs and trail races, it provides a natural wooded area. 2,800+ acres nestled in a natural wooded setting between the Neuse River and Hannah and Mill Creeks in southeastern Johnston County, with 25 miles of unpaved roads and trails, the forest is perfect for running, obstacle races, bike races, kayak/canoe races and orienteering. The Neuse River flows 200 miles with 50 miles of the river in Johnston County. River landings at Howell Woods, the Smithfield Town Commons Boat Ramp and Richardson Bridge Road are key locations to use for kayak and canoe races. Johnston County has six public and semi-private golf courses available for tournament play located in the rolling hills and pine stands offering challenging play.